How much is Otto Porter Jr Worth? Otto Porter Jr. net worth: Otto Porter Jr. is an American professional basketball player who has a net worth of $10 million. Otto Porter Jr. was born in St. Louis, Missouri in June 1993. He is a 6'8″ small forward. Porter played at Scott County Central High School. He played his college basketball at Georgetown where he was the Big East Player of the Year, a consensus first-team All-American, and first-team All-Big East in 2013. 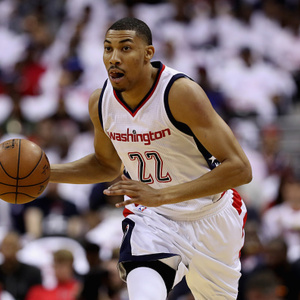 Otto Porter Jr. was drafted #3 overall by the Washington Wizards in the 2013 NBA Draft. 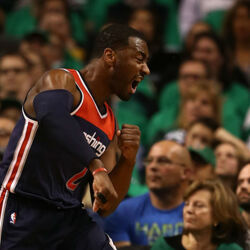 In his first five seasons with the Wizards he average 10.5 points per game along with 4.9 rebounds per game. Porter signed a four year deal with the Wizards for $106.5 million in 2017 after being offered the same deal by the Brooklyn Nets. He comes from a family of basketball players including his father, three uncles, and multiple cousins. Between June 2017 and June 2018, Otto earned $25 million.